Well you know how to start a YouTube channel for gaming. But do know the strategies to promote Gaming YouTube Channel. A successful YouTuber will maintain all these different ways to make promotion. Most of the YouTube Creators create a Gaming YouTube Channel just because they like playing upcoming video gaming and create their gameplay videos and wanted to share their gaming experiences with other gamers and give their ideas and thoughts to other gaming community. Most of the YouTube gamers still don’t know they can generate good revenue and profits through their gaming YouTube Channel by enabling monetisation. Most of the YouTube Gamers are struggling to get views and revenue. 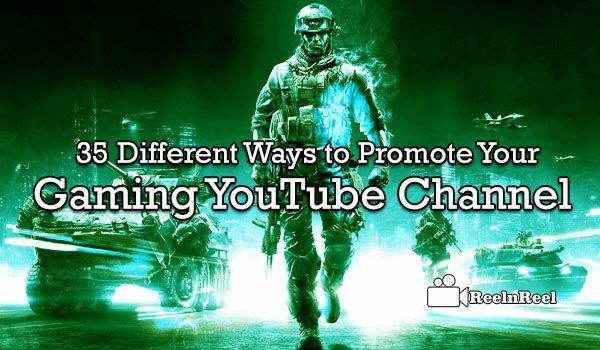 Here is the mind-blowing 35 Different Ways to Promote Your Gaming YouTube Channel. So get started by checking the below ways. YouTube the major platform to promote any thing in the video. In this the gaming will occupy the first place while streaming on YouTube. To be as a successful vlogger just go through these strategies to improve your Gaming YouTube Channel ranking.